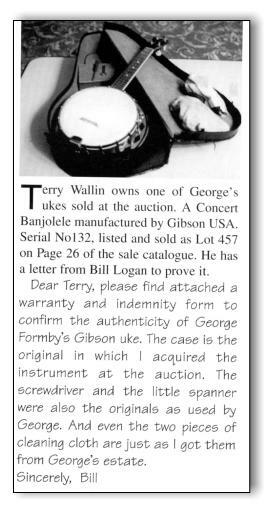 This is a article from a past issue of the Society’s magazine, The Vellum which shows the letter Bill Logan wrote to Terry Wallin when Terry purchased the instrument. The instrument indicated by the red outline is the instrument which is available in the auction. 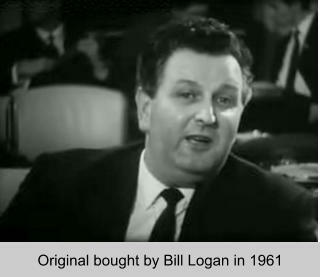 This images is taken from the original auction of Lot 457 in 1961 - click the image for better view. 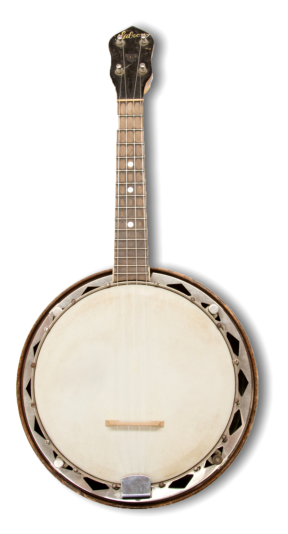 The auction has taken place and after great interest from the media both in the UK and around the world, the Gibson was sold to a person residing in the UK for a fee of £28,500. 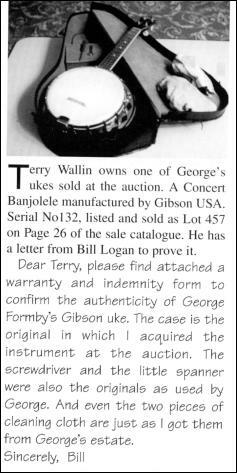 Terry Wallin paid £310 for the instrument when he bought it from the first President of the George Formby Society, Bill Logan in 1972. 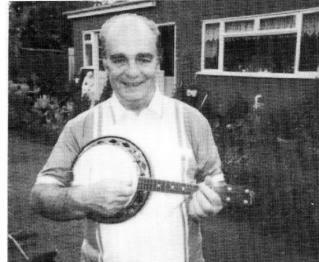 Auctioneer Charles Hanson said a round of applause echoed around the room as it was sold. "It was a great honour to handle it. It was quite a moment," he added. "The room gave a round of applause. 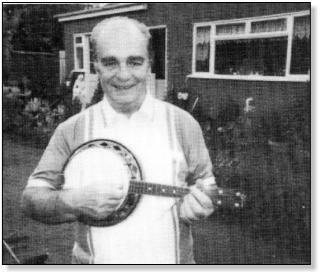 It's memories, as an auctioneer, you don't forget. 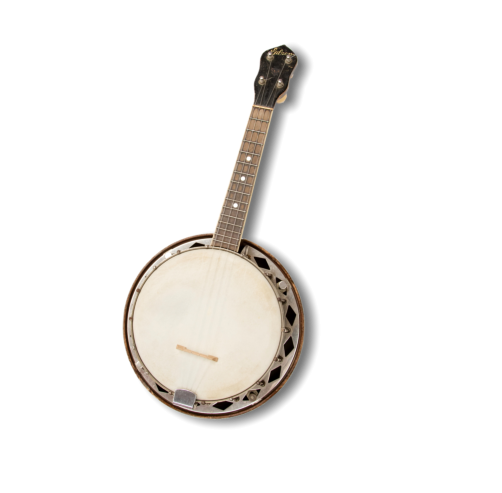 "It is simply a banjolele which ordinarily is worth maybe £400, but with the provenance, with who it belonged to, with that story, fascination... We pumped on a guide of between £20,000 and £30,000 and thankfully it came good." The BBC News website has created a nice page on the event but has incorrectly stated that a third Gibson realised £72,000 when it was bought by Queen lead guitarist Brian May in 2008. 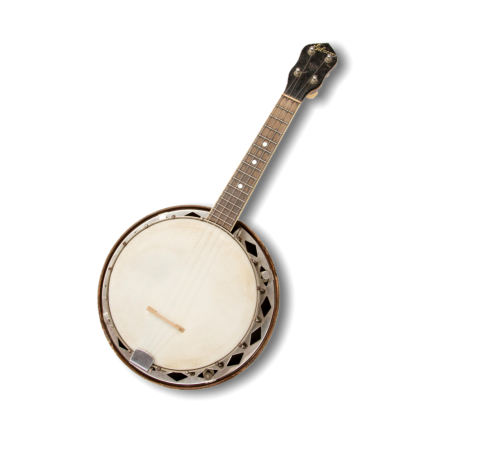 In fact Brian May bought George Formby’s most famous instrument, the Abbott which he used both in films and in his stage shows (amongst other instruments). 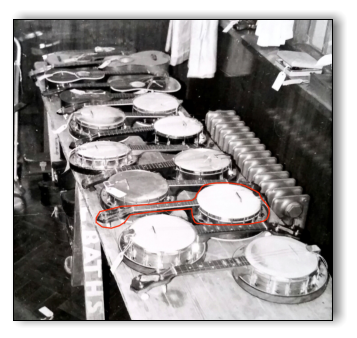 The instrument indicated by the red outline is the instrument which is available in the auction. 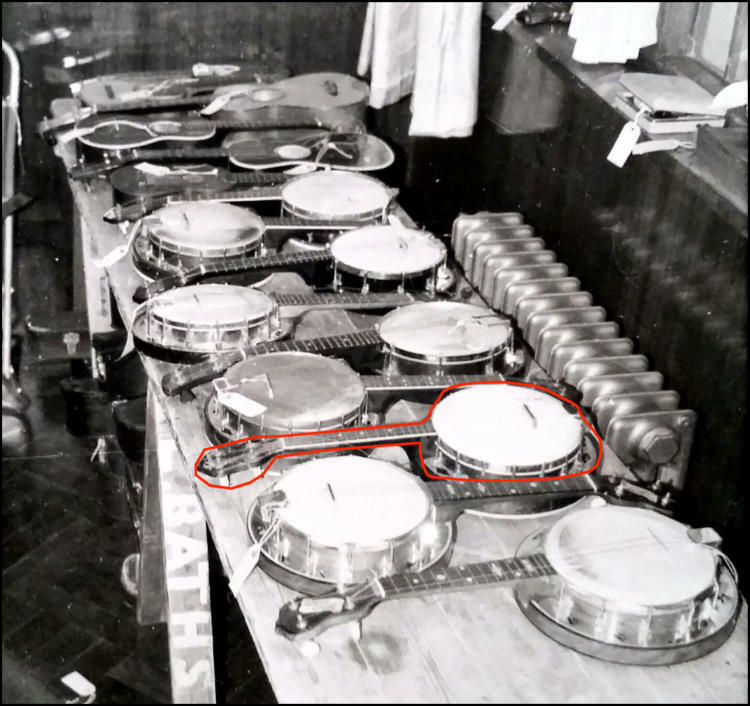 This images is taken from the original auction of Lot 457 in 1961.